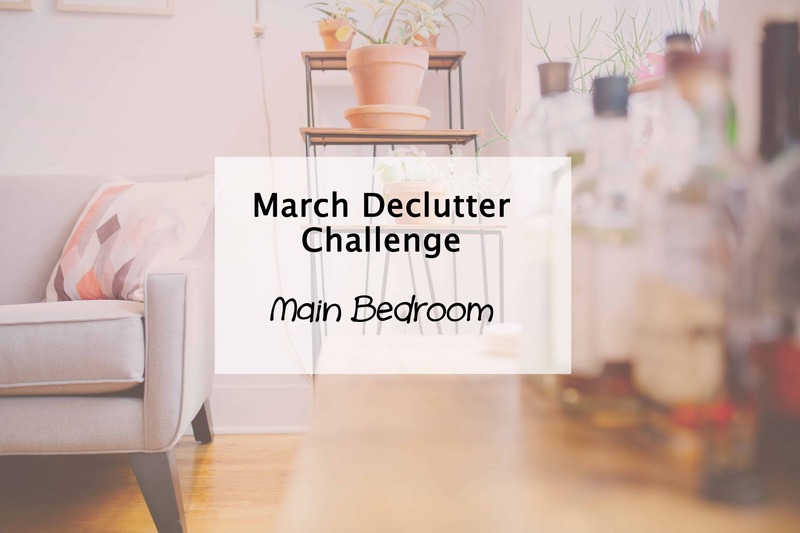 This month saw us tackle the master bedroom declutter as part of the Simplify My Life challenge. A big job for some, me included. Over the years we have developed a few bad habits letter clutter build up in our bedroom, which is really bad for a space that should be clear of mess, calm and relaxing. And that’s not to mention the hideous mess that was my walk in wardrobe. If you haven’t seen already, check out the amazing transformation of this space with a few key home organisation products (plus enter the giveaway while you are there). So to remain accountable, I am sharing my own main bedroom declutter outcome. So far so good, I’ve kept it much cleaner and not used it as a dumping ground for random stuff since the big declutter… With the exception of my really bad habit of dumping clothes on the floor in front of the dresser. Oops! Working on it. Much like the feeling I still get walking into our uncluttered bathroom, it creates a more positive vibe in the bedroom now. No more uptight feeling about the mess that used to greet us. 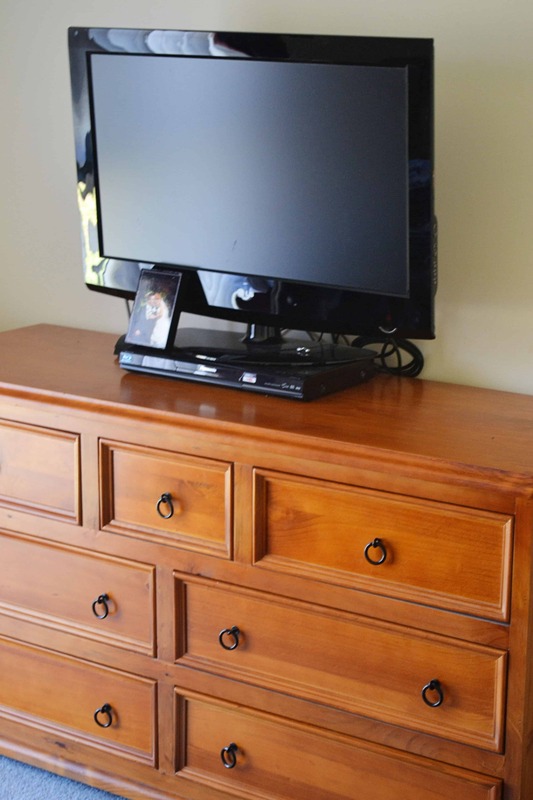 No more overflowing bedside tables and dresser, or tripping hazards around the room. 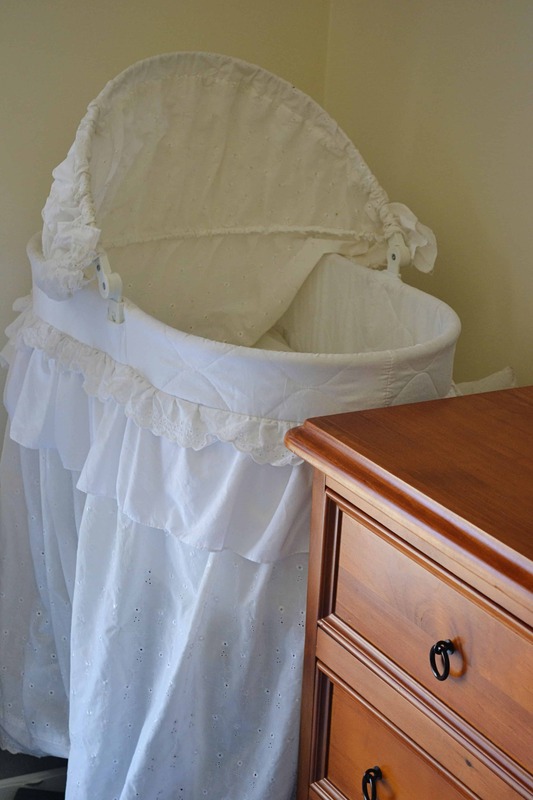 And of course getting the room ready for the new arrival expected in 11 weeks. Would you believe I’ve used this thing as an unofficial clothes storage space for the past 2 years. My bad! However this room is in need of a makeover now that it’s had it’s declutter. 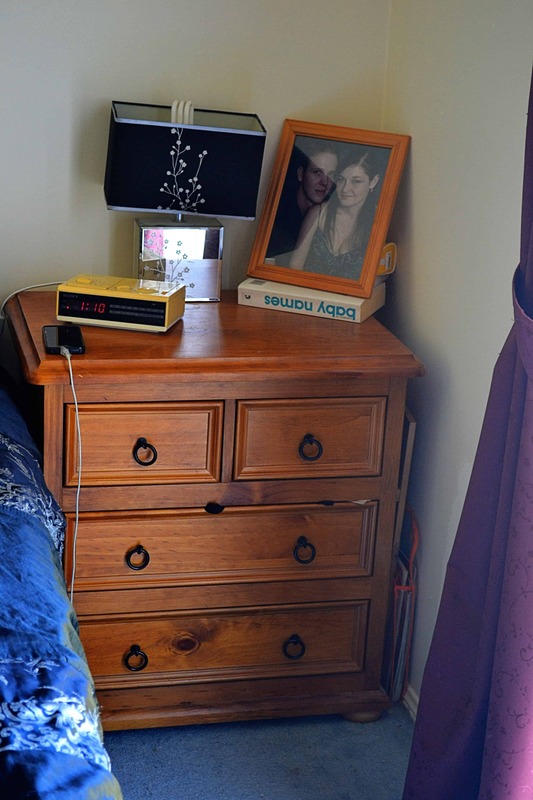 Some new bedding, a long over due hanging of a photo on the wall above the bed and some simple decorative items can go a long way. Watch this space. 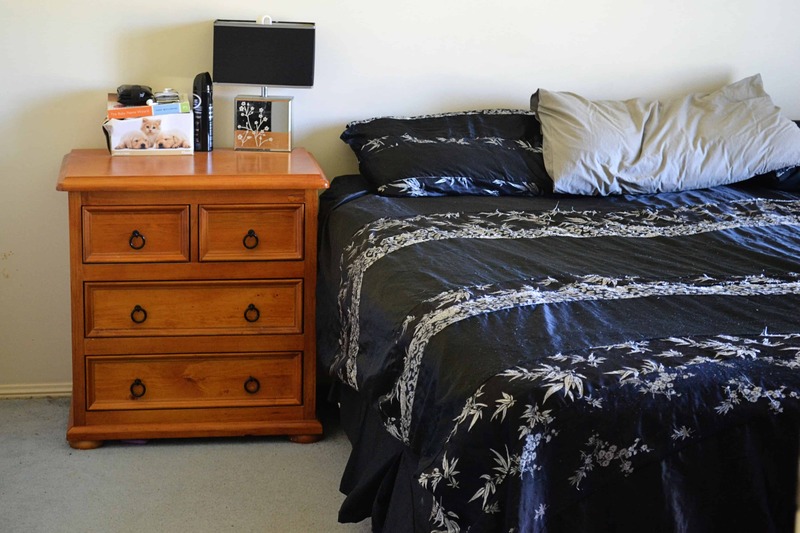 In the mean time, grab your free bedroom declutter printable checklist if you haven’t already and see what transformations your bedroom sanctuary can have. You have a fantastic blog here Holly. Loving your declutter tips. How awesome to be expecting in 11 weeks! How are you feeling? I’m actually running some giveaways on my blog for mums with bubs. that you should enter. I did a make over of our main bedroom but I am needing to declutter our walk in wardrobes. I’m thinking the Easter long weekend will the time to tackle that job!